In November 2000, the World Commission on Dams published its ground-breaking report, Dams and Development, after an unprecedented multi-stakeholder process. Ten years later, Water Alternatives, an independent academic online journal, revisits the WCD and its impacts in a special issue, and explores the question: Is the WCD still relevant? A team of editors and guest editors have selected a range of 20 papers, 6 viewpoints, and 4 book reviews that help to illustrate the evolution in the dams debate. The goal of the special issue is to examine the influence and impacts of the WCD on dam building in general, on the policies and practices of key actors and institutions, and on the development outcomes for affected communities and the environment. The papers and commentaries are from a broad cross-section of authors from the dam industry, civil society, dam financiers and governments, and academia. They reflect the current state of the global dams debate. “Despite the WCD process, the legacies and controversies of the world’s 45,000 large dams continue to cause conflict. Few rivers remain that have been untouched by some type of dam. Displaced populations, estimated between 40-80 million, have frequently been resettled with minimal or no compensation, often in marginal lands, and in the majority of cases have become and remained poorer. Large-scale alteration of natural hydrologic regimes has had massive impacts on fisheries, water-based livelihoods, aquatic ecosystems and environmental services as a whole. Some scientists also believe that many reservoirs emit large amounts of greenhouse gases, up to 4% of all human-induced GHG emissions, as reviewed in this volume by Mï¿½kinen and Khan. Indeed, the first-ever global estimate of the number of river-dependent people potentially affected by dam-induced changes in river flows and other ecosystem conditions is presented in this volume by Richter et al. : that 472 million river-dependent people have had their livelihoods negatively affected by dams.”Several papers explore new tools and approaches – the Hydropower Sustainability Assessment Forum, economic risk analysis, non-dam alternatives, community referenda as a means of participatory decision making – and others examine specific cases, including dams in the Mekong, Amazon, Klamath, Tigris-Euphrates, and Chixoy river basins. Viewpoints from many individuals and organisations with direct involvement during the WCD process provide perspectives on the roles of the state, non-government organisations (NGOs), and multilateral agencies in developing and enforcing policies, and on the evolution of principles of ’free, prior, and informed consent’ in international law. The new issue of Water Alternatives can be viewed at http://www.water-alternatives.org. UNEP is funding a book version of the new issue, which will be presented at a special session of World Water Week in Stockholm on September 7, 2010.
International Rivers has contributed a paper and a book review to the new issue of Water Alternatives. We will be reviewing some of its papers separately. This Special Issue will also come out as a book to be printed and distributed by UNEP. The book will be released at the Stockholm World Water Week on 7 September 2010 at a special session convened by Water Alternatives and UNEP, with the collaboration of M-POWER, International Rivers, WWF, IUCN, International Hydropower Association and Water Integrity Network. 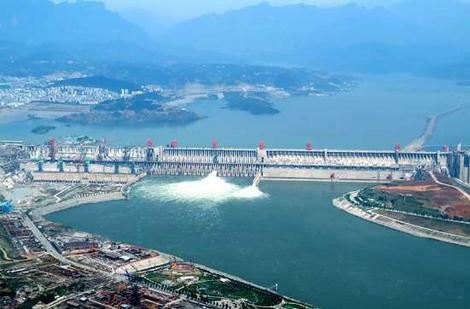 Big dams often cause controversy due to the widespread impact on local communities, flood areas, changes in river ecosystems, geologic hazards, and regional water disputes.here are five of the world’s most controversial dam projects, either recently completed or still under construction.